About a year ago, Zack Kile and Jonathan Wilson were sitting in a coffee shop sharing some time drinking their favorite brew and talking about the future. Both have a common love of living the outdoor lifestyle and a good cup of coffee. 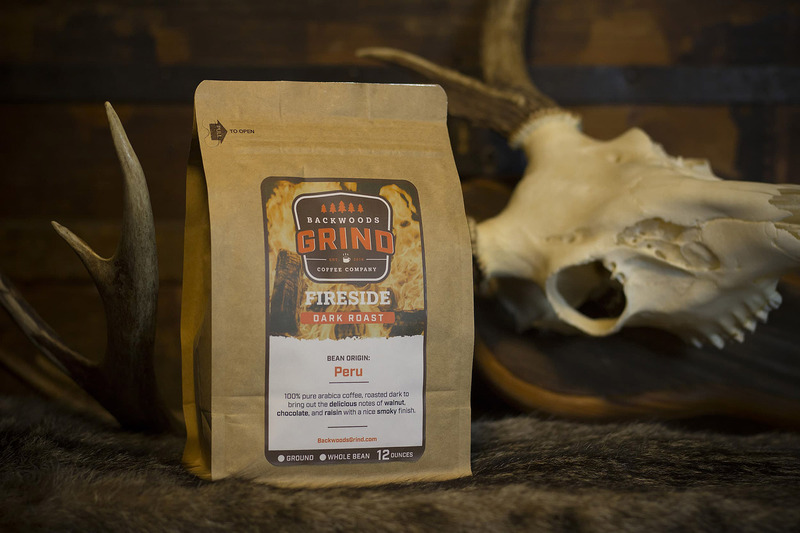 That day they came up with the idea to merge both, along with a good old hard-work ethic, and it became the Backwoods Grind Coffee Company (www.backwoodsgrind.com). Located in the rolling hills in the heart of Mississippi, BGCC is just at the beginning stages of their growth. Co-founders Zack and Jonathan, along with a few other friends, have launched a coffee company that is dedicated to doing it right. Their main goals in founding BGCC was to create the best coffee company possible by combining the values of sustainability, the values of their Christian lifestyle, and the outdoors. They celebrate all those who work hard day in and day out so they can spend quality time in the outdoors. Zack and Jonathan are both avid hunters and outdoorsmen. One of the biggest challenges for companies that manufacture and sell products to large supermarket and retail chains is meeting the mandated labeling requirements. If you are shipping your products to their giant distribution centers, you need to have all your product labeling in step or they might not accept your shipment. This was the case for one of Minnesota’s largest salad and side dish purveyors, Mrs. Gerry’s. They were requested to start applying adjacent corner labels to their cartons of prepared salads, side dishes, desserts, and coleslaws. These labels had to contain the GS1 information for the product including use by date, product information, and bar codes for tracking. Steady growth has been the trademark for Mrs. Gerry’s which had a humble start back in 1973 when Gerry and Jerry Vogt founded the company in support of Jerry’s sales position selling meats to grocery stores. Jerry wanted to offer more food-related products so he could provide a full menu to his clients. They bought a small building of just 1,100 square feet in Albert Lea, Minnesota, adding two stoves, a sink, and a cooler, and they were in business. Gerry’s family became the first employees and they used Mrs. Gerry’s family recipe for potato salad as the first product. The company began to grow and, using fresh local ingredients, turned out 70,000 pounds of salad by hand in 1974. New recipes were added and building additions were added to accommodate the expanding product lines. Fast forward to 2018 and Mrs. Gerry’s now sells over 35 millions pounds of product a year in their 215,000 square-foot facility. The company sells over 120 different products including pasta salads, cole slaws, salad kits, desserts, Premium Mashed Potatoes and much more. Sourcing their ingredients locally as much as possible, about 90% of their potatoes are grown within 15 miles of the Albert Lea plant. They buy massive truckloads of potatoes which are off-loaded in seconds using a whole truck tilt unloading system. Choosing the right label printer depends on how you’ll be using it, including your specific industry and application. In this quick overview, our label printing experts at Weber Packaging Solutions break down the best Zebra label printers by industry, to help you make the right choice and get the best results. Label printing in manufacturing is often fast and high-volume, with a need for extremely durable printers that can withstand extreme temperatures, dust, dirt, or other tough environmental factors. Sometimes you also need higher print quality to support smaller labels, improve scannability, and meet compliance requirements. In these cases, the best options are Zebra’s ZT600 or ZT400 Series industrial printers, which print at higher speeds with greater quality than desktop printers. They achieve speeds of up to 14 inches per second with print resolution of up to 600 dots per inch (dpi). Zebra also offers models with optional RFID labeling functionality. Zebra’s ZT printers are manufactured with all-metal components and built-in thermal management, so they also withstand the harshest environments, including extreme heat and cold, dust, dirt, and humidity. 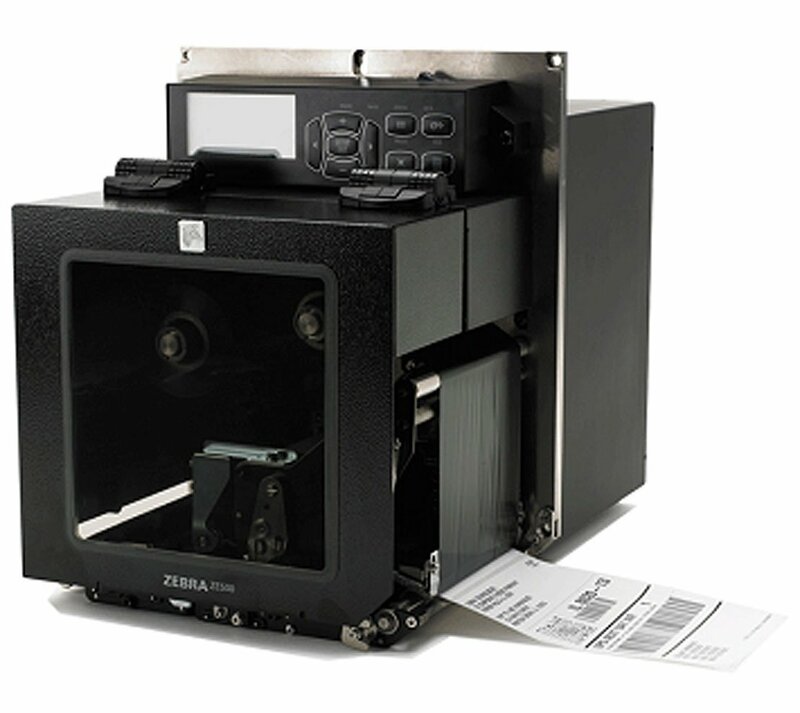 If you need a print-and-apply system that labels as products, materials, or shipments move through production processes, a Zebra ZE500 print engine is also an option. Zebra’s print engines can print labels with up to 300 dpi resolution at up to 12 inches per second, including labels of 4.09 or 6.6 inches in width. In transportation and logistics, workflows can involve everything from warehousing to yard and terminal operations, fleet management, and delivery services. In these cases, it’s often best to use a combination of different Zebra printer types depending on each area and workflow. For example, in the busiest warehouses, Zebra ZT Series industrial printers may be the best option for fast, reliable printing in an extremely durable device. They integrate and connect easily with mobile devices and apps, making it easy to print from virtually anywhere. Smaller desktop printers, such as Zebra’s ZD620 and ZD420 Series devices, may also be a good fit, especially when you need a printer that fits into smaller workspaces such as a desk area or rolling workstation. However, if you need truly mobile printing, Zebra’s ZQ600 and ZQ500 Series mobile printers are the industry standard. They offer exceptional durability with a rugged military-grade design, and they deliver fast, reliable printing in a lightweight, wearable, or handheld device. You can print labels and receipts inside or outside the four walls, with Bluetooth, Wi-Fi, and other connectivity options. When you have packages to label and orders to fulfill, the last thing you want is a breakdown in your print-and-apply equipment or headaches when it comes to setting up, adjusting, and maintaining your system. Fortunately, you can avoid these problems and upgrade your aging or underperforming systems by upgrading to Zebra’s ZE500 Series print engines. In this quick overview, we’ll take a look at the ZE500 Series and five ways that it will help you improve your print-and-apply operations and keep them running smoothly. In packaging applications, it’s all about high-volume printing and labeling, often in tough environments where debris, dust, and even water might be present. Thankfully, Zebra continues to set the bar for label printer durability with ZE500 Series print engines, which are engineered without the need for cooling fans and with an external cabinet that’s impervious to debris, dust, and even washdowns with water. ZE500 print engines also feature industrial all-metal constructions, so components can easily withstand the most demanding print requirements and environments. Problems with print-and-apply systems often start with printers that are difficult to set up. Zebra’s ZE500 print engines make things much easier with a large, graphical display and a simple five-button menu. The display can be rotated or remotely located up to two meters away with an optional kit, so it’s easily accessible for even unusual mounting. The applicator IO is the same for 5V and 24V, so you can just simply switch jumpers to convert. The rural town of Stewartville, Minnesota, holds one of the best kept secrets when it comes to salad dressings. But that secret is getting out through sales at Walmart and other major area retailers. The small but mighty Jimmy’s Salad Dressing & Dips (www.jimmysdressing.com) has built up a strong following and continues to grow their distribution each year. We recently visited Operations Manager, Sam Slightam, and SQF Practitioner & Office Coordinator, Abby Rager, to get the full story on the production and packaging of these tasty treats. Jimmy’s is best known for their salad dressings which include Thousand Island, Blue Cheese, Ranch, Sweet & Sour, Coleslaw and more. They also make Ranch Vegetable, Dill Vegetable, Spinach, Taco and HolySmoke! dips along with Tartar Sauce and Caramel Dips. These products can be found in the refrigerated sections of the produce aisle at Walmarts and other grocery stores throughout the Midwest primarily in Minnesota, Iowa and Wisconsin. Their story all began back in 1958 when Sam’s grandfather, Jimmy, and his wife, Ella, opened a restaurant called the Fish House in Stewartville, MN. Over time, Jimmy grew tired of the available salad dressing on the market and decided to make his own. He came up with a fresh, flavorful, creamy dressing that was a hit. The local patrons loved the handmade dressings and wanted to buy some to take home with them. Jimmy started hand-packing his “Fish House” salad dressing for home use and the legend grew. Soon local grocers wanted to carry the Fish House salad dressing in their stores. Then, in 1990, Jimmy’s son Tom purchased the salad dressing business, officially naming it “Jimmy’s Salad Dressing & Dips” as a tribute to his father. Watch a video about Jimmy’s. With the tag line, “Homemade Taste. Hometown Goodness.”, Jimmy’s has always been dedicated to producing the highest quality dressings and dips. And it’s very apparent when you see their production facility in Stewartville, MN. The best fresh ingredients are used to create original recipes. Products are sourced locally to support the community and to maintain consistent quality. The products are made in small batches, one flavor per day, to maximize freshness and stringent food quality guidelines. One of the most important steps taken on the road to their success has been getting SQF certified. The SQF (Safe Quality Food) Program is recognized by the Global Food Safety Initiative (GFSI) and links primary production certification to food manufacturing, distribution and agent/broker management certification. Administered by the Food Marketing Institute (FMI), SQF benefits from continual retailer feedback about consumer concerns. This allows your customers to have confidence in your food safety program and know that you have a rigorous food safety system in place. Jimmy’s continued success had created a need to automate their production and packaging line to keep up with demand. In the past, up to 1000 cartons a day had to be hand-labeled before production could begin. For a small company, this is a very labor-intensive and time consuming job. Their production line recently added automated labeling equipment to help speed things up and adhere to the requirements of Walmart’s PTI (Product Traceability Initiative) GS1 regulations. Jimmy’s needed to add a GS1-128 bar code label to adjacent sides of every carton of salad dressing. Walmart needs this for tracking store inventory, food safety and recall, effective quality control, faster receiving , and to measure supplier performance. Working through Viking Plastic Packaging, they chose a Weber Model 5300 Twin-Tamp label printer-applicator that prints and applies labels to the front and side panels of each cartons passing on the conveyor. The label formats for each product were created by Abby Rager using Weber’s Legitronic Labeling Software and are stored in a database where they can be easily retrieved and sent to the label printer-applicator for each run. It was important to make sure the label formats conformed to the FDA requirements. These 4” x 4” labels also include the lot code, expiration date, product information, and Jimmy’s logo. The use of GTIN-128 barcode labels allow the end user to track shipments and usage with easily-read bar code labels. “Our SQF certification has allowed our customers to have confidence in Jimmy’s knowing we will provide them with a safe, quality products that have been produced in a facility that meets the SQF standards,” said Abby. “The Weber labeler has created an additional tool to utilize within our day-to-day operation of our SQF Program which has led to increased productivity,” she added. Jimmy’s will be using Weber’s 4” x 4” Transprint 425 All Temperature labels to ensure adherence in cold, damp refrigerated conditions in their warehouse and in reefer trucks during shipment. The combination of Weber’s labels, ribbons and 5300 twin-tamp conform 100% to the ISO 15416 quality regulations. During production, the jars are topped-off at the filler and sealed securely. Shrink-sleeve labels are put in place and the jars go through a heat tunnel to fit the sleeves tightly. The jars are then hand-loaded into cartons that are fed into a taper to close them. The cartons proceed down the line to the label print-apply system that labels the carton on two sides with the current batch information.